ΔfusH: Enthalpy of fusion at a given temperature (kJ/mol). ΔfusS: Entropy of fusion at a given temperature (J/mol×K). 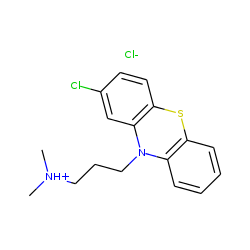 Find more compounds similar to Chlorpromazine hydrochloride.